View product info, download CAD models, and find additional details. 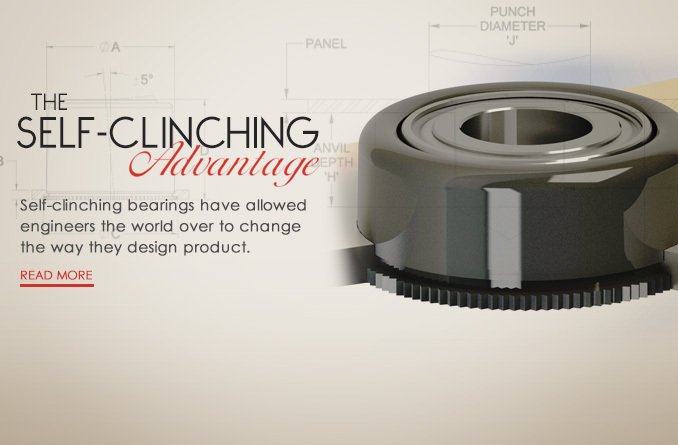 Spyraflo is a manufacturer of ROHS compliant and specialty bearings for a wide variety of industries and applications. Tell us what you’re looking for — and what problems you’re trying to solve — and chances are, we have a bearing that will not only meet your needs, but may also make your product better. That’s because our unique self-clinching and self-aligning bearings give you more flexibility in engineering, and may allow you to use less expensive construction methods. By designing these advantages into your product you can improve performance and reduce costs. We’re happy to talk with you about your requirements. Contact us today and let us help you solve your engineering challenges.